Silver Spring, MD; June 5, 2018 – North America’s most popular streaming service for British and international television, Acorn TV, is now available in twelve Latin American countries through Roku® streaming devices. The Latin America launch includes Argentina, Chile, Colombia, Costa Rica, Ecuador, El Salvador, Guatemala, Honduras, Mexico, Nicaragua, Panama, and Peru. 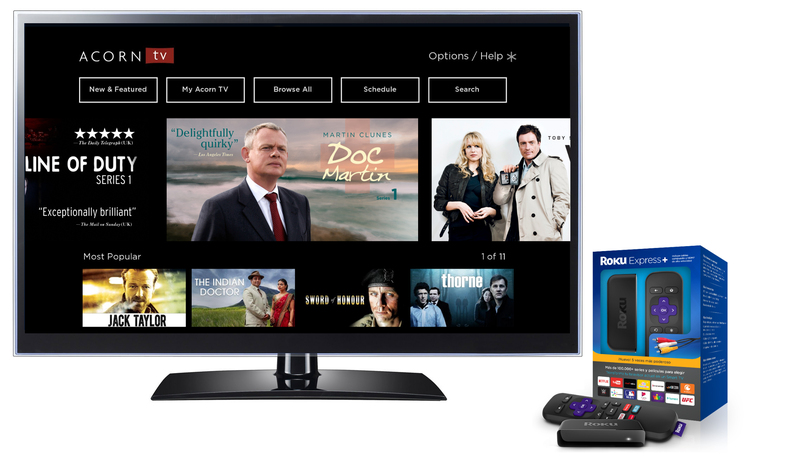 Consumers can now subscribe to Acorn TV via their Roku streaming player as well as via acorn.tv. The programs will be in English-language with Spanish subtitles available. The Acorn TV streaming service is available for $4.99 per month (approx.. MXN $89). At launch, Acorn TV in Latin America will feature the first season of smash hit British dramedy Doc Martin; Irish detective drama Jack Taylor, Series 1-3 starring Iain Glen (Game of Thrones, Downton Abbey); one of BBC’s top dramas with Line of Duty, Series 1-2; the complete series of the original Poldark; British historical drama The Great Train Robbery; Aussie cop drama East West 101; charming BBC period drama The Indian Doctor; addictive British drama The Syndicate, among many other series. Acorn TV will add new programs regularly.